Home / art / buffet / cucina / filipino food / food / hotel restaurants / marco polo hotel / promo / The Foodie / Marco Polo Manila Fuses Art and Modern Filipino Food with "From Palette to Palate"
Marco Polo Manila Fuses Art and Modern Filipino Food with "From Palette to Palate"
In line with our country’s celebration of Buwan ng Wika, Marco Polo Manila commends the month by whipping out a contemporary take on some local dishes and reconstructing them into delicious pieces of art on a plate. This kind of culinary competence can only be yoked with one Filipino chef, sought after his culinary creativity and skills to transform drawings into a delectable work of art fit for a king. Having been able to cook for royalties, heads of the states, celebrities and leading Michelin-starred restaurants worldwide, there’s no other name befitting this transcript than Chef Ramon Antonio. 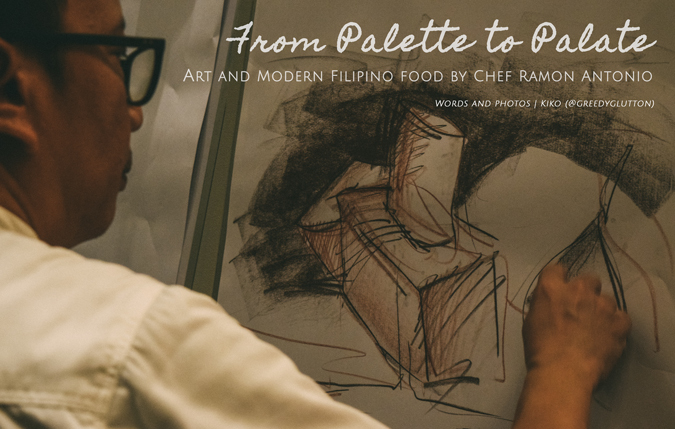 From August 22 to 31, hotel guests and diners will get to experience a new take on local cuisine with Marco Polo Manila’s “From Palette to Palate” – Art and Modern Filipino food by Chef Ramon Antonio. A week of culinary art immersion awaits as he brings imagination to life through delectable masterpieces, from appetizers to desserts. Transforming the dishes to have a modern look did not suppress the authenticity of the flavors as Chef Ramon racked up local produce. 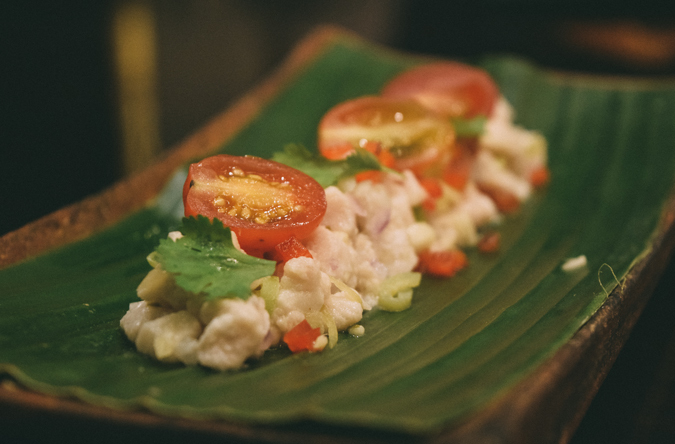 One of the appetizers that stood out was the Kinilaw Bisaya or Cebu Mackerel Ceviche that transported me back to the island of Lapu-Lapu with its refreshing and familiar flavors. 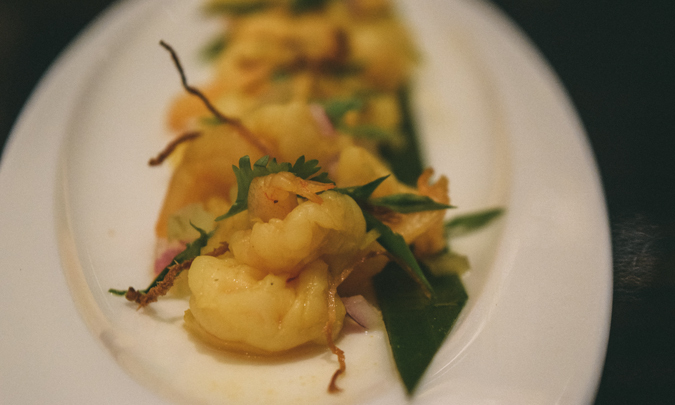 The experience also stirred some interest on local dishes that have not been made known to many—like the Biyaring, a Maranaw-style Ceviche with shrimp as the main component. One will be amazed as to how much of our local dishes need to be brought to light. It is safe to assume that almost every Filipino is familiar with Laing and Bicol Express but without doubt, only an insignificant population have tried the Ginataang Santol, a Bicolano dip composed of a unique combination of gata and santol. Chef Ramon prepared this dish with a warm and crisp crostini to offset the bold flavors. 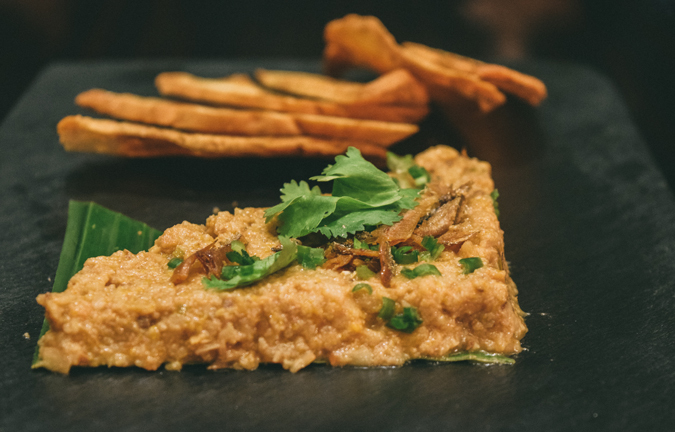 Chef Ramon’s objective was not only to exhibit his skills on palette but also to promote uncharted local cuisines. 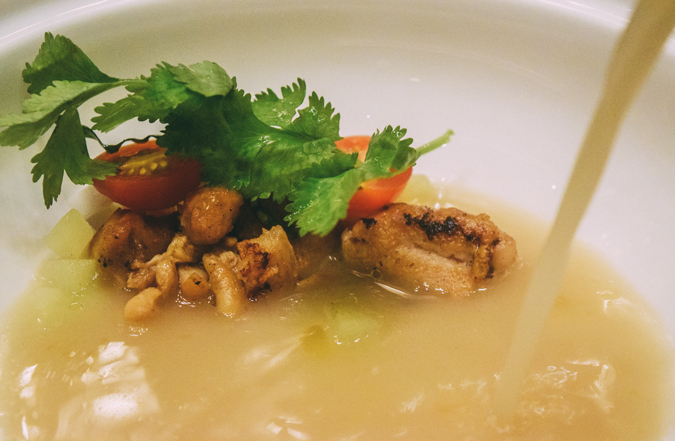 He brought in one humble Ilonggo dish called Binakol, a soup-based dish with grilled chicken in coconut soup. The medley of gata, lemongrass, and ginger, and the smokiness of the chicken brought bold yet comforting flavors which was perfect. However, when the server started putting down plates of Chef Ramon’s Kalderetang Baka, I almost fell face down when I saw how glamorous it was presented. The meat was tender slow-braised beef doused in liver sauce supplemented with foie gras, which gave it a richer taste. 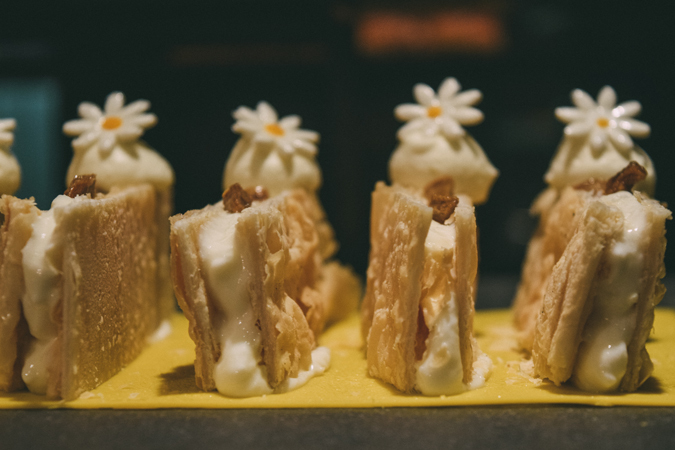 Chef Ramon spawned many dishes at Marco Polo Manila’s Cucina lineup including desserts like Bacolod Napoleones. 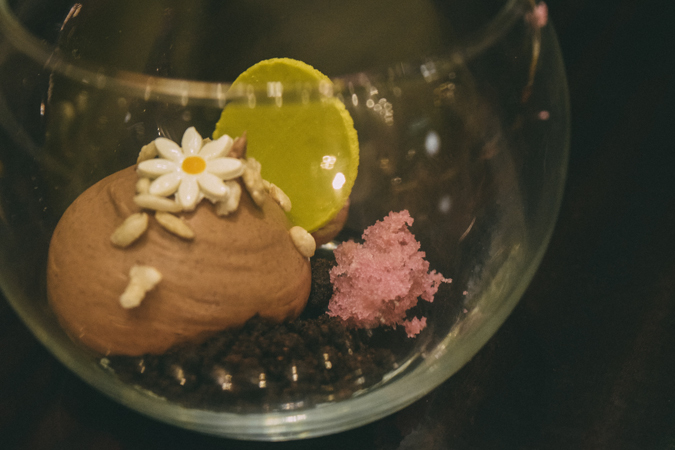 He took a different route with this classic confection by incorporating pandan to give it a refreshing taste. He also integrated a fruity note by adding orange custard to a typical Canonigo. 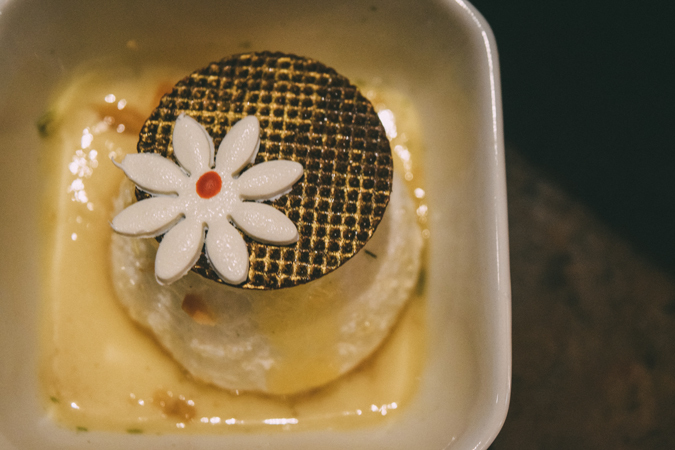 My favorite among Chef Ramon’s dessert selection for this fete was the Masi Ug Landang, a sticky mochi from Cebu with Tapioca Ginger Lemongrass sauce and Peanut Caramel filling inside. Enjoy these dishes and more at Cucina’s lunch and dinner buffets until August 31. Follow Marco Polo Manila’s social media sites below to get updated on new promotions happening every month. 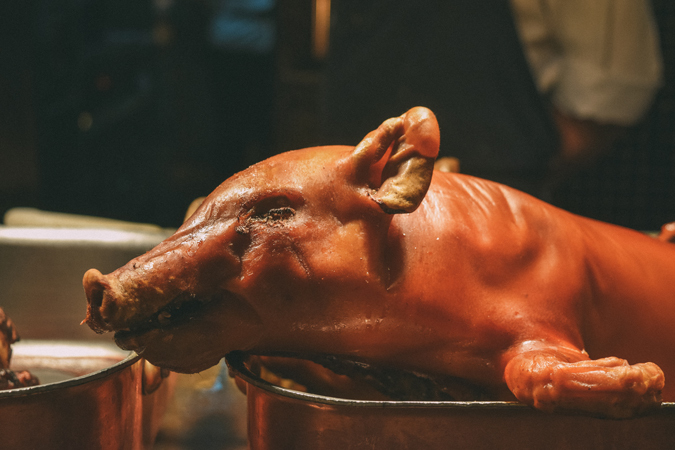 What is your favorite Filipino dish? 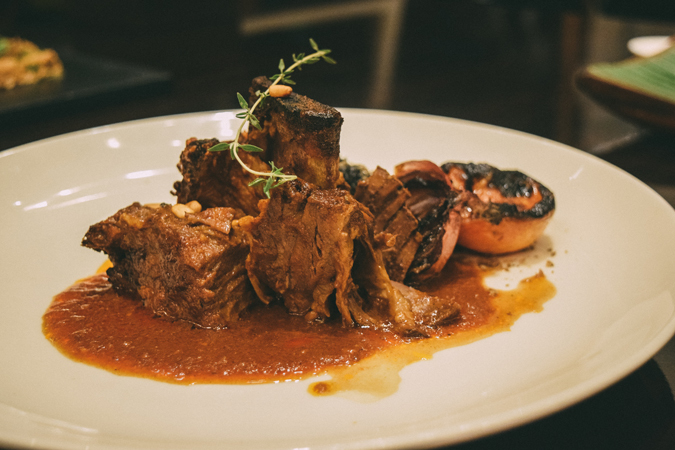 What do you think of Cucina's Filipino selections?